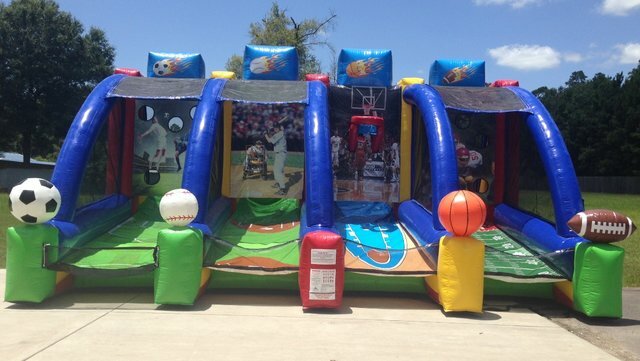 The Sports Play 4-in-1 is the ultimate inflatable interactive sports game for your party (birthday, graduation, celebration, summer barbecue, etc). Up to four people can play this inflatable game at the same time. Players can kick a soccer ball through the goal, throw a baseball at the strike zone, shoot free throws and throw touchdown passes through the targets. It's a sports fan or athlete's dream come true!